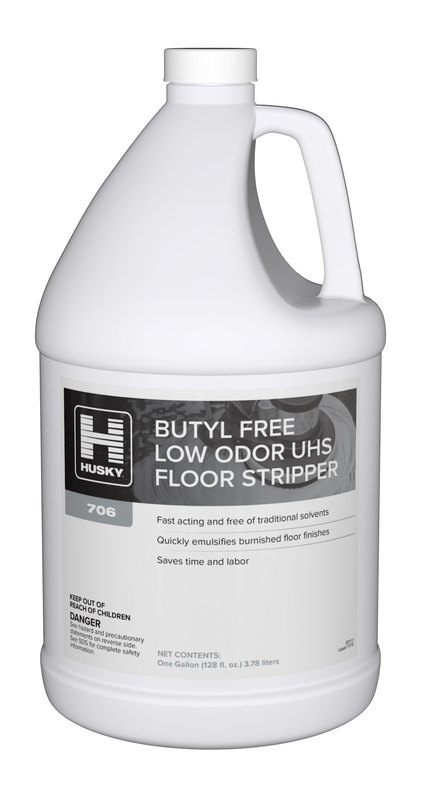 This low-odor floor cleaner and stripper efficiently removes layers of floor finish and sealer from resilient tile flooring without the use of butyl or strong ammonia odors. No residue left behind to interfere with subsequent finish application. Ideal for environments sensitive to odor, such as health care facilities.